The Riviera Theatre was completed in 1917 by architects George and C.W. Rapp (Rapp & Rapp), it was built as a movie theater for the Balaban & Katz chain. 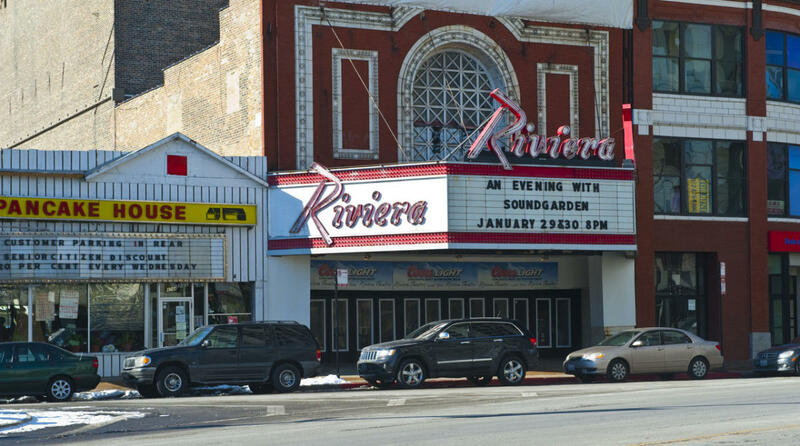 Transformed into a private nightclub in 1986, the Riviera Theatre is now one of Chicago’s premier concert and special events venues. The Riviera has hosted many of the world’s greatest performers and entertainers throughout the years. Hours of Operation: The Box Office is open on the night of shows only, two hours prior to the show. Doors typically open an hour before show time.